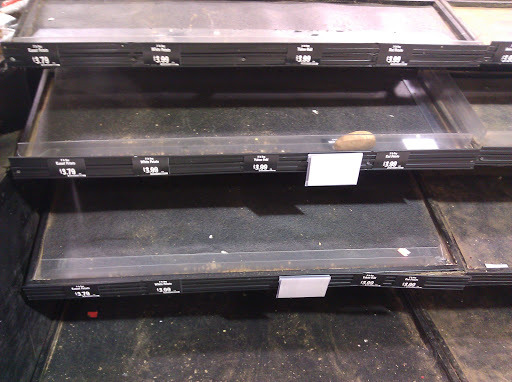 I know they were calling for a "Monster Storm" and people often buy out bread and milk. But why isn't there a single bag of potatoes in the store? Are potatoes the new emergency food? Why wasn't I notified? Update: The snow was very much a no-show. In fact, it's pretty amazing how we dodged the storm.